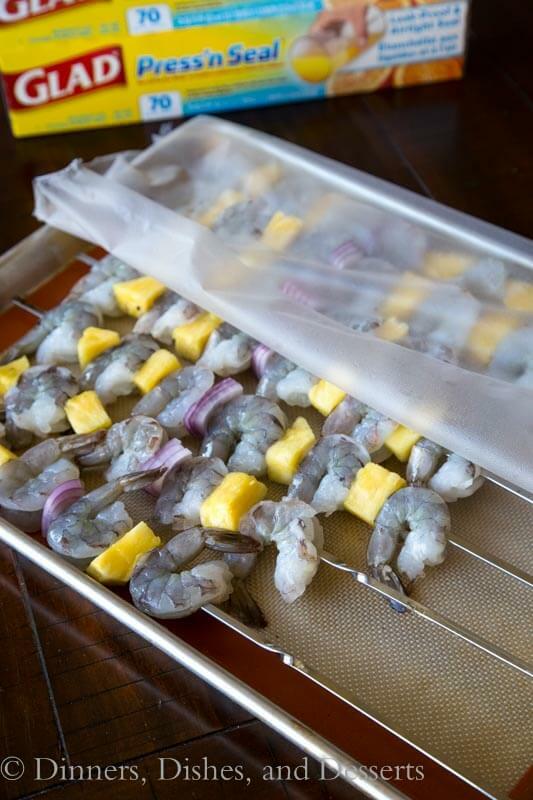 Shrimp and pineapple make a great combination on these Grilled Teriyaki Shrimp Kebobs. 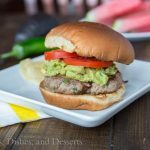 Such an easy recipe and great for summer grilling! Summer grilling weather is here. And with that comes lots of get togethers with friends and family. What is the best part of getting together in the summer? Grilling out and lots of yummy food. And the cold drinks. White Sangria anyone? It doesn’t have to be stressful either. 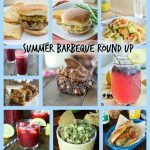 Throwing a summer barbecue should be easy and fun for everyone, including you! Today we are talking entertaining and tips to make your summer get together a success! I love entertaining in the summer, because the food is just easy. Most of the work is done on the grill, so not a lot of clean up. The more work you can do ahead of time, the less work when your guests are there. 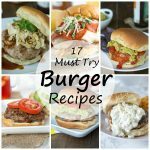 If you are grilling burgers shape the patties ahead of time and have them waiting in the fridge. 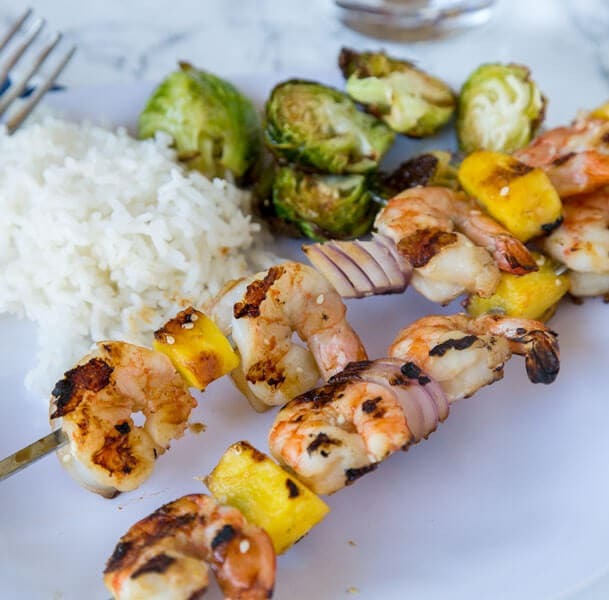 For these Grilled Teriyaki Shrimp Kebabs I put the shrimp and pineapple on the skewers early in the day. Then I used Glad Press‘n Seal to cover the shrimp and let it sit in the fridge all day, so they were still fresh when it was time to grill. 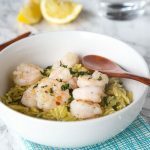 Shrimp dinner recipes are my favorite – they cook quickly and my whole family loves them. When planning a get together in the summer, I like to stick to the basics. Plan a main dish; like grilled shrimp, and then a couple quick and easy sides. Homemade salsa is great to have out for people to snack on. And then something like Southwestern Corn Salad or Pasta Salad goes with just about everything, and can be made ahead. When it is time to eat, you just have to take stuff out of the fridge and serve. Summer entertaining is meant to be fun and relaxing. So having a few go to recipes is a great idea. Then you can have friends over at a moments notice! And grilled shrimp cooks in about 5 minutes, so it can’t get any easier. Do you grill on charcoal or gas? I am lucky that I can use both, depending on what I am cooking. 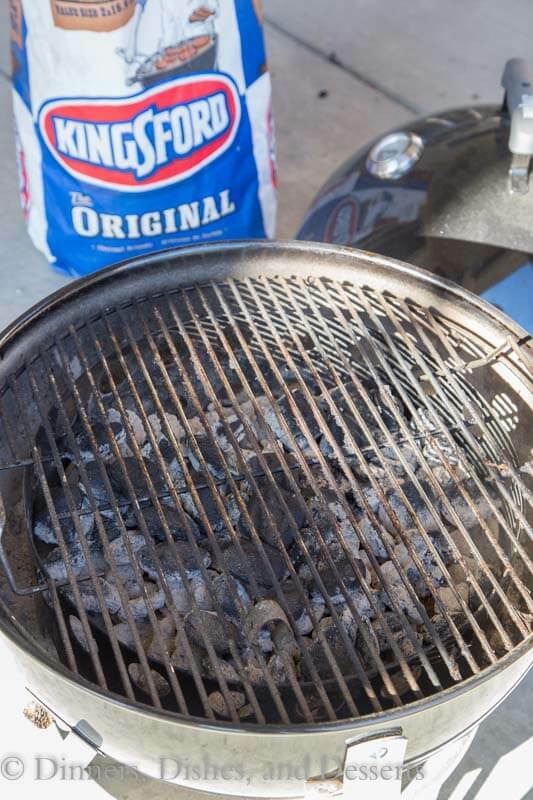 For a reliable and great summer barbecue I always use Kingsford Charcoal Original. 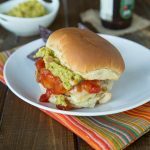 It is ready in 15 minutes, so you aren’t waiting around forever wondering when it is time to start grilling. Plus it burns for a long time. I love it in our smoker when making Tri-Tip or brisket, because I don’t have to mess with it. So convenient that I can pick up everything I need to host the perfect summer barbecue at Walmart. No running around town to find everything. 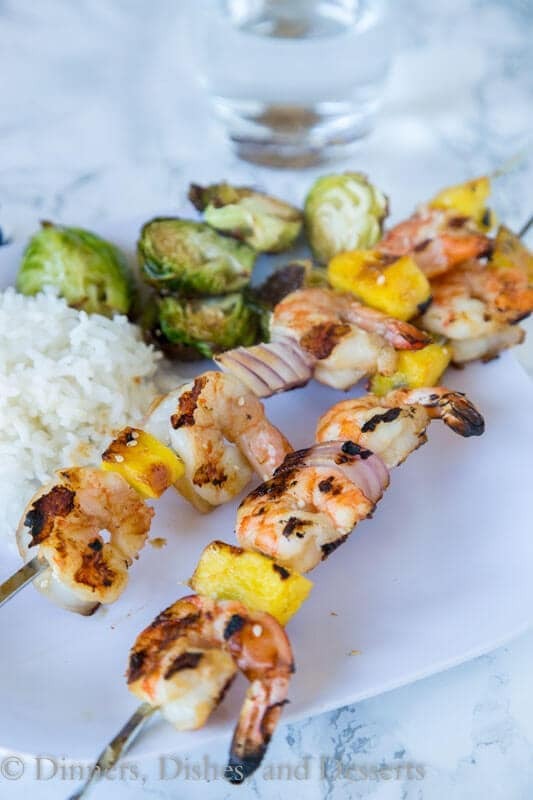 The grilled teriyaki shrimp kebabs grill up in just minutes, so you can be hanging out with your friends and enjoying the summer weather! No stress or pressure with this summer party. 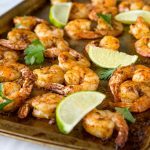 Grilled Shrimp recipes are great for summer. 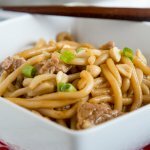 You can make them in minutes, and flavor them just about any way you want. This teriyaki shrimp is great with the pineapple. 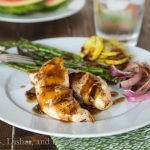 Teriyaki chicken is kind of staple, so why not a version with shrimp. You can add other veggies, like maybe bell peppers to your kebabs if you want. I served with rice which was great for any of the leftover sauce. Plus anything on skewers is just more fun. 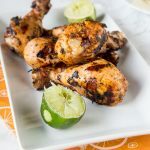 Chicken skewers are some of our favorite, and I am definitely going to have to try it in with grilled shrimp too. 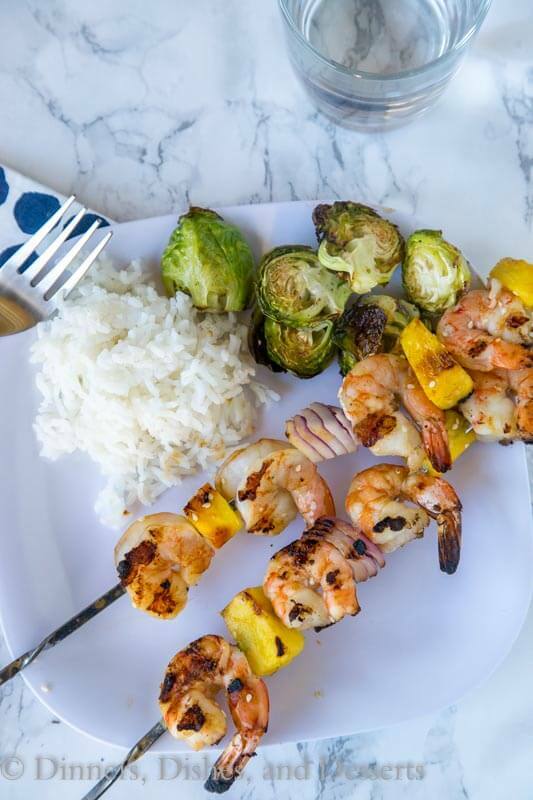 So this summer think outside of the box and try these teriyaki shrimp kebabs for dinner. They are ready so fast, great for busy nights. To prepare the kebabs, thread about 6 pieces of shrimp, 4 chunks of pineapple, and 1 wedge of red onion, alternating onto 8 skewers. Mix together teriyaki sauce and sesame seeds. Generously brush over shrimp kebabs. Grill for 6-8 minutes, flipping half way, or until the shrimp is completely cooked. 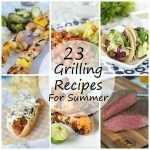 These kebobs are SOOO great for summer! 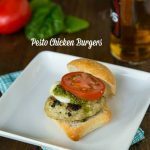 I can’t wait to add it to our summer grilling menu! 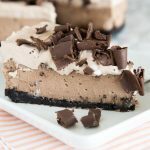 This recipe looks fantastic, my friend! YAY for grilling season!! This looks so fresh, fast and healthy! Perfect for summer! 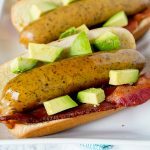 I can’t wait to fire up the grill and give this a go! Bring on grilling season!! These shrimp kebobs look perfect! 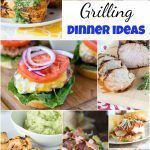 Grilling season is my favorite, and these are just perfect for the grill. They look incredible! 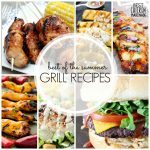 I agree, I love the summer for the grilling too. It makes cooking so much faster and all the foods are so yummy! I love the less clean up too! 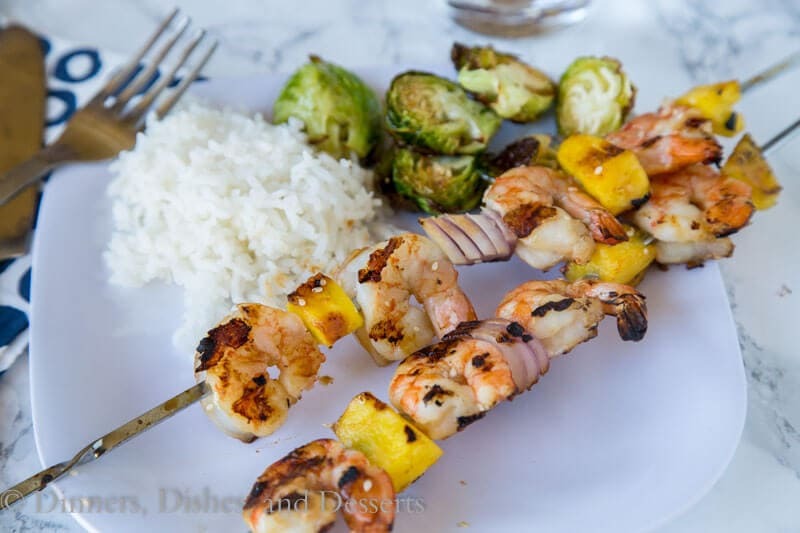 I love shrimp kabobs and these are just so perfect for summer grilling! Delicious! Now THIS is my kind of grilling! WE love kabobs!